Yummy! We actually filmed these awesome hasselback apple puffs a few weeks ago, but we’ve been so busy lately we’ve only just got around to editing the video. But here they finally are. 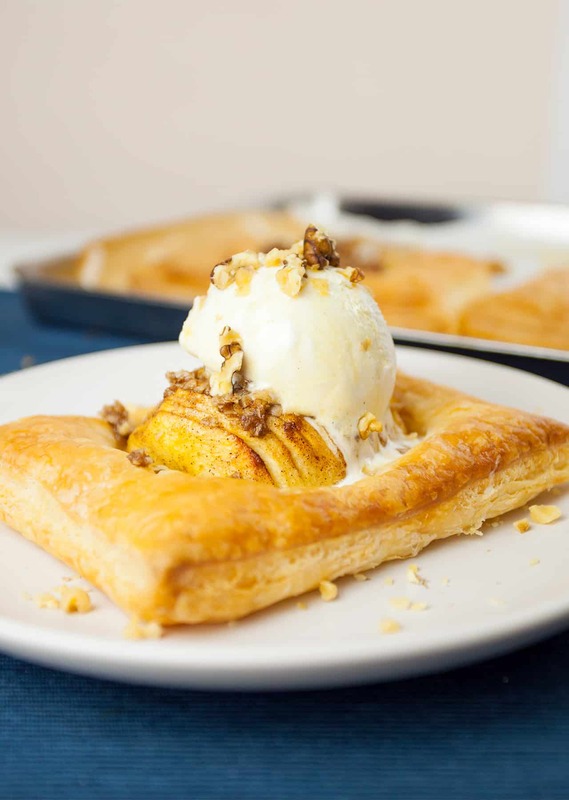 We’ve totally fallen in love with these apple puffs. They’re sweet, crispy and creamy, and they’re really easy to make! De-core and peel the apples, then slice them in half. Place the apple halves flat-side down and slice into the outer edges roughly 3/4 of the way down. Repeat in half cm intervals, making sure you avoid slicing too far down because you don’t want the apple halves to split. Place a small saucepan on a medium heat and melt the coconut oil with the sugar and cinnamon. Brush the apples with the coconut oil mixture and place the halves on a baking tray. Cover with foil or parchment paper and bake for 20 minutes. Meanwhile, add the oats and walnuts to the remaining coconut oil mixture and stir to combine. Then roll out the pastry on a flat baking tray to roughly 35cm to 22cm, and leave to one side. Remove the apples from the oven and discard the foil or parchment paper. Make sure you leave the oven switched on. Using a fork to gently open up the slices, spoon a little of the coconut mixture between each slice. 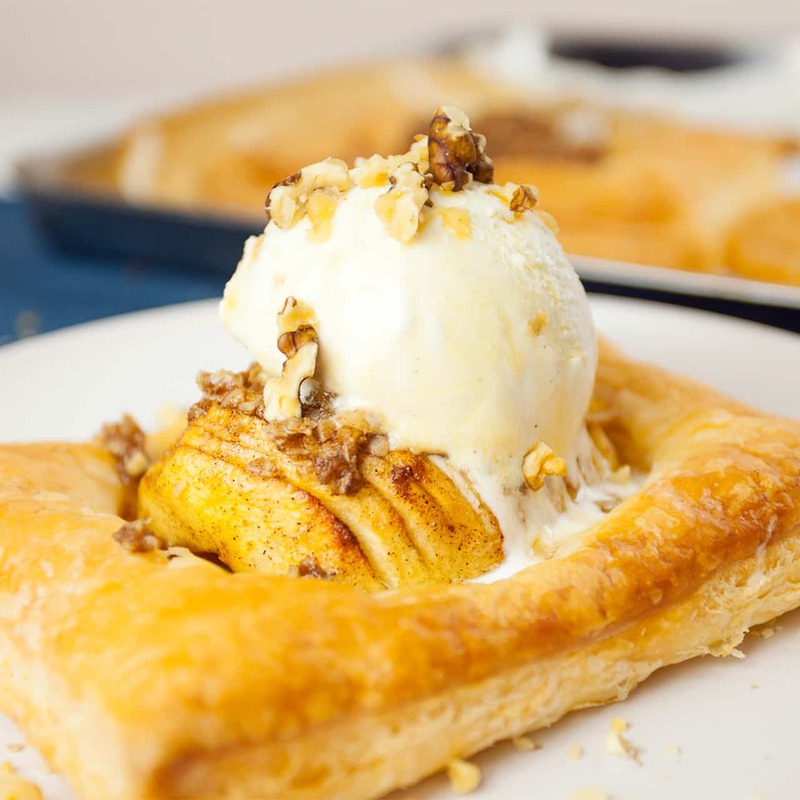 Transfer each apple half to the middle of each quarter of pastry. Then cut the pastry into quarters to make 4 hasselback apple puffs. Brush the pastry with a plant-based milk and bake in the oven for 15 minutes. Serve with a scoop of vegan ice cream, a drizzle of maple syrup and a sprinkling of walnuts.